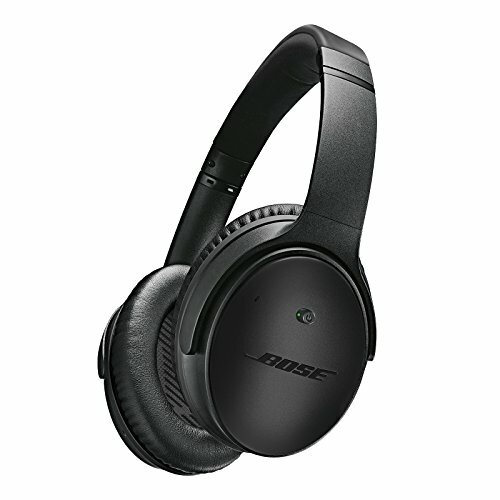 The Bose QuietComfort 25 may feel slightly cheap to some users, but delivers a decent sound and even better noise cancellation. The Bose QuietComfort 25 noise cancelling headphones have received positive reviews for their great comfort due to their light pressure on the skull and their soft leatherette earcups. Users praised their noise cancellation, suggesting that the headphones lived up to their purposes, doing a much better job than expected. Their inline pause/start controls also work great and their overall sound reproduction is said to be great. However, the build quality did feel a slightly cheap according to some users. The Bose QuietComfort 25 may not have the sturdiest build, but it performs well as a noise cancelling headphone, aiding in blocking out the external noise of airplanes or busy cityscapes. The QuietComfort 25 model takes Bose's already stellar noise-canceling headphones and levels them up to new heights.